We are a Small Country Church where Everyone is Welcome! 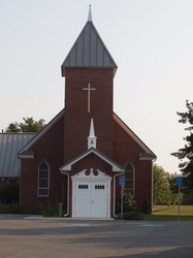 Faith Chapel Presbyterian Church was founded in 1871 and organized in 1954. We are a small rural church that is located 8 minutes to the southwest of Berlin, MD, 20 minutes from Ocean City, MD and 30 minutes from Salisbury, MD. Faith Chapel is a part of the New Castle Presbytery and the PC(USA). You can visit the New Castle Presbytery website by clicking this link: http://ncpresbytery.org or visit the PC(USA) website by clicking here. http://www.pcusa.org .